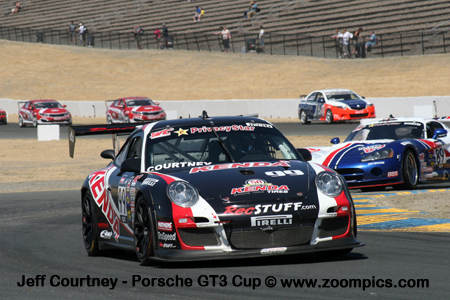 The final round of the 2012 World Challenge Championship was held at Sonoma Raceway. Competitors (16-GT entries and 16-GTS entries) would race for 50-minutes around the twelve-turn road course. The first lap and final race of the 2012 World Challenge season for GT and GTS class cars. 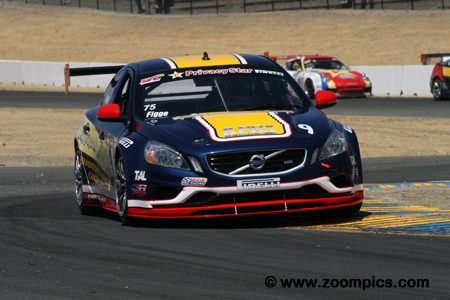 Leading the way into Sonoma’s turn nine is pole-sitter Alex Figge driving a Volvo S60 entered by K-Pax Racing. 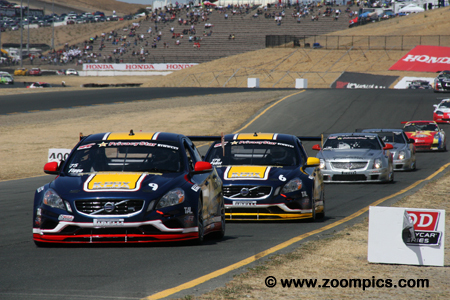 Behind Figge is his teammate Randy Pobst in the second Volvo and the Cadillac CTS-V.Rs of Johnny O’Connell and Andy Pilgrim. Alex Figge earned his first World Challenge pole position of the 2012 season. The driver of the K-Pax Racing Volvo S60 was joined on the front row by his teammate Randy Pobst. The weekend only got better for Figge as he led flag to flag despite a late race challenge from Andy Pilgrim in a Cadillac. This was his first World Challenge win of the season and the second of his career. Earning his first pole position in World Challenge competition was Jack Baldwin. 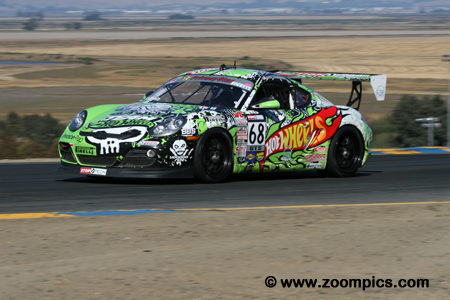 The driver of the GTS class Porsche Cayman S had last raced at Sonoma 20-years ago and won the Trans-Am title at the event. Baldwin took the GTS lead at the drop of the green flag and held the position until lap-14 when a flat tire eliminated any chance of a victory. At the checkered flag, he was twelfth in GTS and twenty-ninth overall. Qualifying fourth in the season finale was Andy Pilgrim, driving the No. 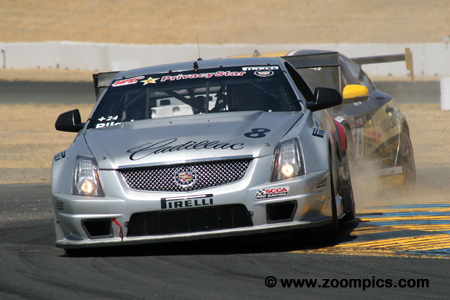 8 Cadillac CTS-V.R. During the race, Pilgrim was able to pass his teammate Johnny O’Connell and took second on lap-20 with a move on Volvo driver Randy Pobst. He closed the gap on Figge and was 1.131-seconds behind the winner at the checkered flag. Pilgrim’s runner-up position allowed him to finish second in the Driver’s Championship. 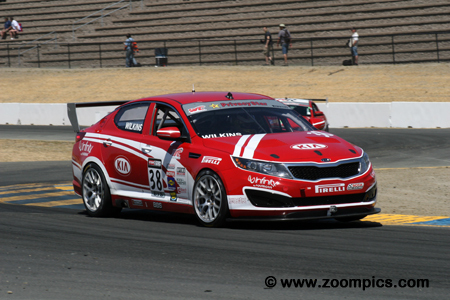 Second fastest qualifier in the GTS category was Mark Wilkins driving a Kia Optima entered by Kia Motors America. However, Wilkins and his teammate, World Challenge veteran Michael Galati who started fifth in GTS were never a threat for the victory. Wilkins was fourth at the checkered flag and Galati finished behind him in fifth. 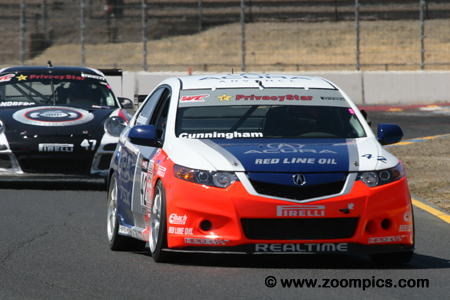 GTS points leader and multi-time World Challenge Champion Peter Cunningham started from the fourth grid position. At the green flag, Cunningham jumped to second in class but was passed by eventual winner Andy Lee. However, Jack Baldwin’s misfortune moved him back into the runner-up position. A second place finish at the checkered flag earned Cunningham the 2012 GTS Driver’s Championship – his tenth in SCCA Pro Racing competition. Making it an all Volvo front row was Randy Pobst in the No. 6 K-Pax Racing Volvo S60. Pobst held second overall until he was passed by fourth fastest qualifier Andy Pilgrim on lap-20. From there Pobst held his position and earned the final spot on the GT podium. 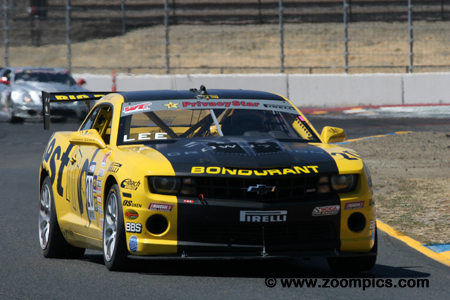 Rookie, Andy Lee, started from the third grid position in the GTS class. By lap-8, Lee had moved around Peter Cunningham who was running second. Shortly after that, he passed GTS race leader, Jack Baldwin in turn-five. After Baldwin had suffered a flat tire it was clear sailing for Lee – he won the GTS category by a margin of 9.930-seconds. This was Lee’s fourth class victory of the season. Justin Bell qualified the No. 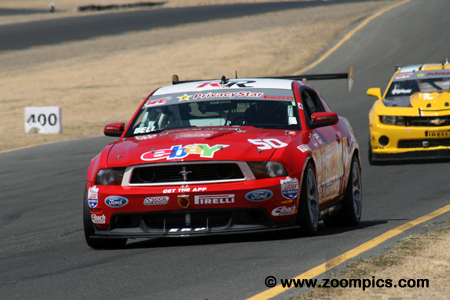 50 eBay Motors sponsored Ford Mustang Boss 302S twelfth in the GTS category. However, Bell had a spectacular race and improved eight positions during which earned in the Sunoco Hard Charger Award. On the final lap, he passed Mark Wilkins in a Kia Optima to take third in GTS. 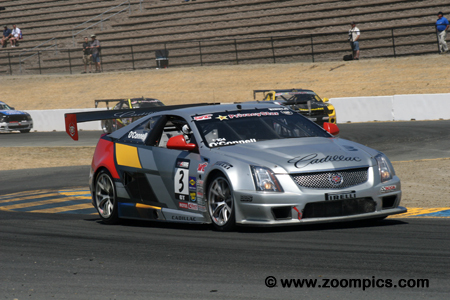 Starting behind the two Volvos was the 2012 World Challenge GT Champion, Johnny O’Connell, in a Cadillac CTS-V.R. O’Connell had secured the title at the previous round in Mid-Ohio. During the race, he was passed by his teammate Andy Pilgrim and on lap-18 Lawson Aschenbach went by which relegated him to a fifth place finish. The efforts of O’Connell and Pilgrim’s during the season also won Cadillac the Manufacturer’s Championship. 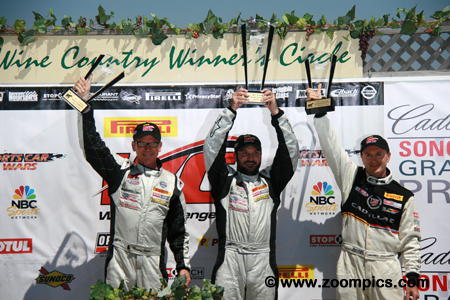 The overall and GT class podium at the 2012 World Challenge finale. To the left is the runner-up from Cadillac Racing - Andy Pilgrim. And, on the right is the driver of the No. 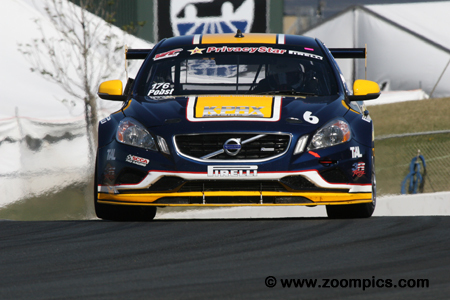 6 K-Pax Racing Volvo S60 – Randy Pobst. In the center, taking his first win the season is Alex Figge.